Jack Straw, who was the UK Foreign Secretary at the time of the Iraqi invasion/occupation/war said at his appearance this week at the Iraq War / Chilcot Inquiry, that he had a plan to avoid the UK going to war. It’s a bit late now fool. 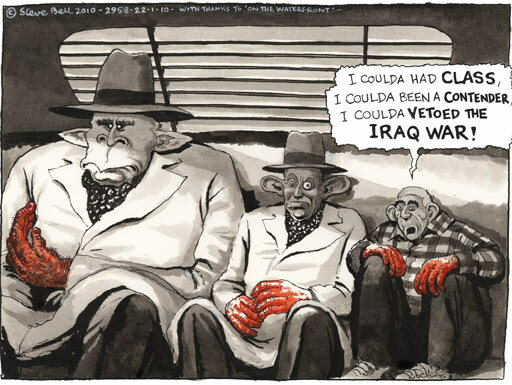 Guardian ink-meister Steve Bell nails him good and proper.